In honor of March being designated as “Women’s History Month”, Cordoba Corporation’s Managing Partner & Chief Financial Officer Maria Mehranian recently had the honor of presenting at the sixty-third session of the United Nations Commission on the Status of Women at the UN Headquarters in New York City. Maria participated on a panel discussion on March 11, 2019, focused on “Developing Infrastructure and Access to Public Services to Improve Gender Equality.” The presentation was focused on the importance of promoting, sponsoring and funding specific types of infrastructure in developing countries that enhance women’s access to capital and ultimately results in economic and social empowerment of women. The case study Maria presented was focused on a rural area of Armenia where women represent 43% of the agricultural labor force. As a result of investment in water irrigation systems, erection of greenhouses, and using drip irrigation, a new class of women entrepreneurs are now flourishing in the area. The video Maria presented at the UN panel discussion can be found in the following link: Developing Infrastructure and Access to Public Services to Improve Gender Equality Video. A video of Maria’s presentation at the UN panel discussion can be found in the following link: Presentation to UN Panel. 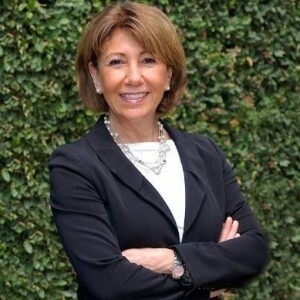 Maria Mehranian is Managing Partner and Chief Financial Officer of Cordoba Corporation. Maria is directly responsible for the firm’s strategic financial planning and overseeing the company’s statewide financial operations. For 35 years Maria has dedicated her career to building Cordoba Corporation into one of the nation’s top specialty services firms with its staff of engineers, designers, managers, environmental specialists, and construction professionals from all over the world. Maria holds a Masters of Urban and Regional Planning from the University of California, Los Angeles. Cordoba Corporation is a statewide full-service engineering, program and construction management firm with offices in Sacramento, San Francisco, San Ramon, Chatsworth, Los Angeles, Santa Ana and San Diego. Specializing in the delivery of infrastructure projects in the transportation, education, water and energy sectors, Cordoba is recognized by Engineering News-Record as a Top 50 Program Management Firm and a Top 100 Construction Management-for-Fee Firm in the nation, as well as a Top 100 California Design Firm. For additional information, please visit cordobacorp.com or contact communications@cordobacorp.com.